Long-term disability refers to different types of disability benefits that are insurance based and are received for longer than a period of one year. These benefit payments are not made by the Social Security Administration but by the insurance company covering the retirement, health, or benefit plan offered by your employer. ERISA stands for the Employee Retirement Income Security Act of 1974. This legislation established specific standards to protect employees when filing claims with group health plans or plans providing disability benefits. These standards are intended to protect claimants against unnecessary delays by the insurance company in making a determination of their claim. It also guarantees the claimant access to information regarding how a determination is made. Furthermore, it guarantees claimants and beneficiaries a full review of any denied claim. In summary, ERISA is intended to make the process of applying for and receiving disability from a private insurer similar to that of the Social Security Administration. This does not mean that filing for insurance-based disability is easier than filing with the SSA. Claims with private insurance companies may be extremely difficult. ERISA has established the process for claimant application, time frames and procedures for determinations by insurance companies, an internal appeals process, and (if the internal appeals process has been exhausted) the right of the claimant to file suit against the insurance company in state or federal court. However, disability coverage has been a growth industry for insurance companies because they have found legal loopholes and practices that enable them to circumvent many of the ERISA guidelines established to protect you! An act of "bad faith" on the part of an insurance company is not an honest mistake or oversight. Bad faith implies that there has been an intentional practice set in place by an insurance company to purposefully commit fraud or deny legitimate disability claims. A charge of "bad faith" against an insurance company is very difficult to establish. Nonetheless, there have been a number of bad faith cases that have resulted in substantial awards to beneficiaries (see Boicourt v. Amex Assurance Co., David Clayton v. United Service Automobile Association, Vann v. The Travelers Insurance Company, etc.). Eligibility for long-term disability is typically similar to those eligibility requirements set by the Social Security Administration. However, because long-term disability is based upon the policies set by private insurers and your employer, it is important to note that the eligibility requirements are specific to the coverage of your policy. This means that a legitimate disability or condition may not be covered due to the restrictions of the insurance policy. It is important to know the specific conditions and disabilities covered by your policy to determine your eligibility for long-term disability. For a FREE evaluation of your case by a professional advocate or attorney, contact us today. Disclaimer: THIS IS AN ADVERTISEMENT. Advertising is paid for by participating attorneys and advocates. The site is not an attorney referral service. Workers-Compensation-Law.us name is privately owned and is not affiliated with or endorsed by the U.S. Department of Labor or any other federal or state government agency. The promotion of this website is sponsored exclusively by professional Workers' Compensation Attorneys and Advocacy Groups, in effort to provide services to the public for workers' compensation and injury issues. 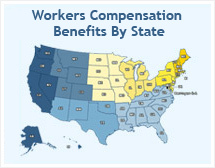 © Copyright 2012, Workers-Compensation-Law.us, All Rights Reserved.